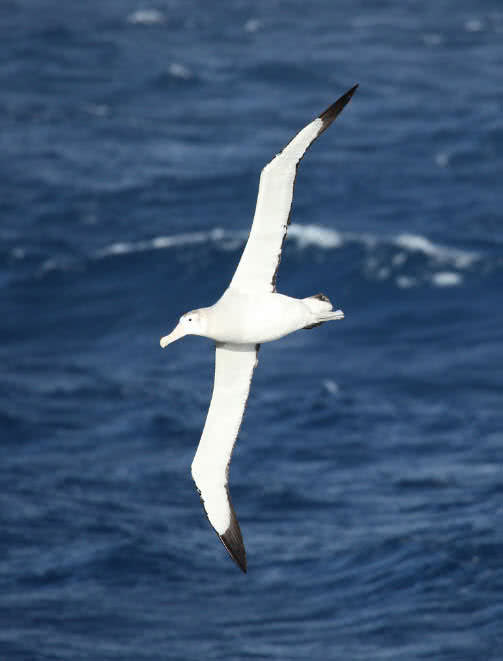 Measuring from 8.3 ft to 11 ft, Wandering albatross has largest wingspan of any bird. This large, beautiful bird is native to Southern and North Pacific ocean. There are 24 different species of albatross in total. Weighing up to 12 kg, wandering albatross is biggest among the family. Wandering albatross mostly feed on small fishes and squids. They also drink lots of salt water. Albatross spend most time in gliding in ocean winds and float on Ocean surface. In fact, they rarely found on land. During breeding season, wandering albatross gather in colonies in remote islands. They lay only one egg after mating. Interestingly, young albatross will make their first flight within few months. Mute swan is a large water bird that grows up to a size of 5 feet and weighs between 12 and 13 kg. They are native to European countries. 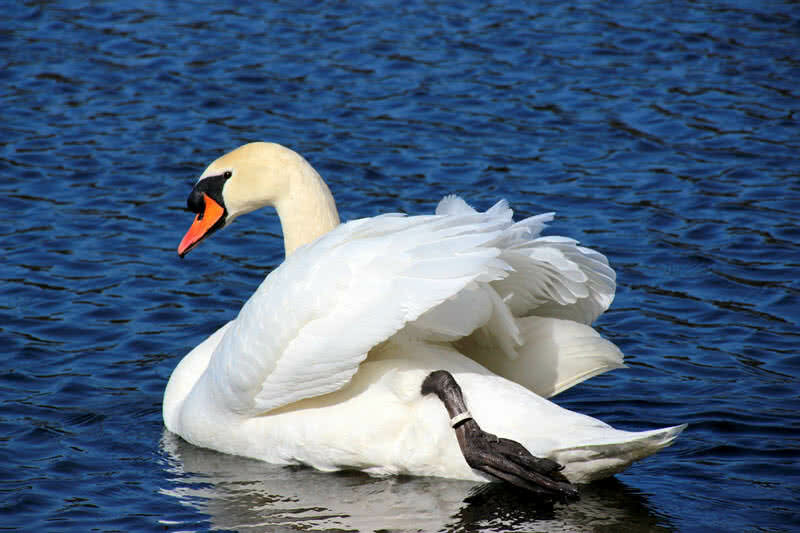 The cute ‘S’ necked mute swans also have a wingspan of 8 ft. They feed on aquatic vegetation, insects, and small fishes. The long neck helps mute swabs to find food quickly under the water surface. Swans are intelligent and little aggressive. Interestingly, they can remember who give them care. Swans would attack during the nesting time, bites one who threaten them. Swans give well care for nests, babies, and eggs. They usually lay 5 or 6 eggs after mating. Dalmatian Pelican is one of the heaviest flying bird in the world. They are native to Europe and South Asia. This large bird grows up to a length of 6 ft. and weigh between 12 and 14 kg. The wingspan of an adult Dalmatian pelican measures up to 9 ft. They look exactly like great white pelicans. But Dalmatian pelicans are larger. Dalmatian pelican’s bills also have a length up to 18 inches. It is second largest one in the world. The Australian pelican holds the first place. Fishes are main food of Dalmatian pelican. Every day they eat up to 2 kg of fish. 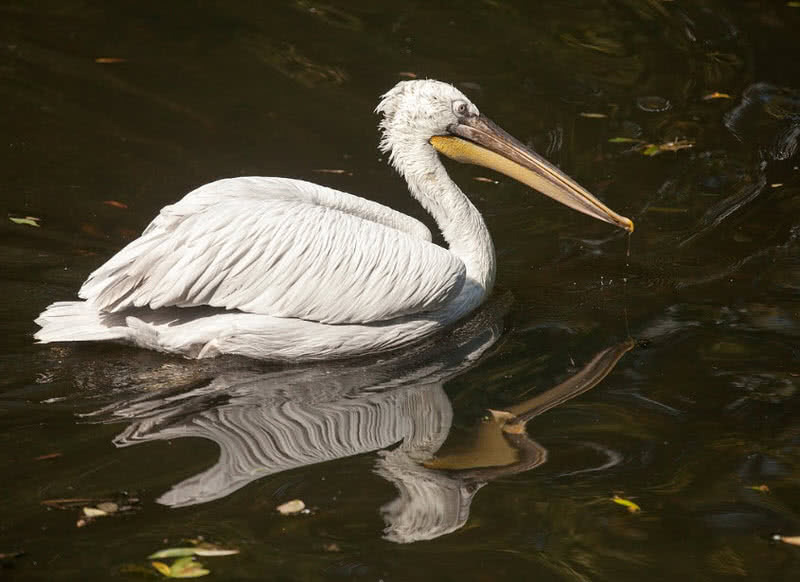 Dalmatian pelican’s diet includes catfish, eels, and European perch. Andean condor is one of the members of the vulture family. This large bird found in the Andes mountains and South American coasts. They grow up to a height of 1.2 meters and weigh up to 15 kilograms. The enormous, 10 feet wingspan also reflect Andean condor’s size. This large wingspan also aids to make the flight with their massive body. 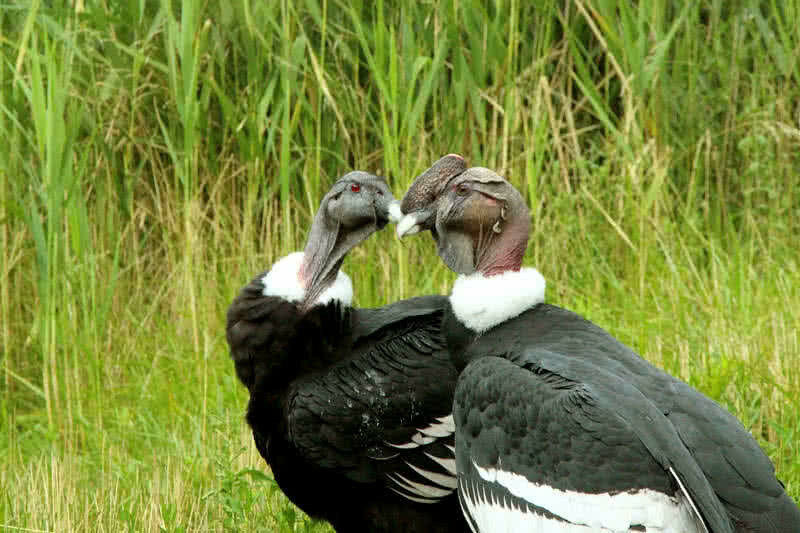 Like other vultures, Andean condors feed on dead bodies of other animals. Both domestic and wild. Andean condors are also fond of having dead seals and fishes from coastlines. Sometimes they hunt other bird’s nest for eggs. This endangered vulture member has a lifespan of 75 years. Weighing up to 20 kg, kori bustard is the largest flying bird in the world, native to Africa. Male kori bustard is two times much heavier than the female. 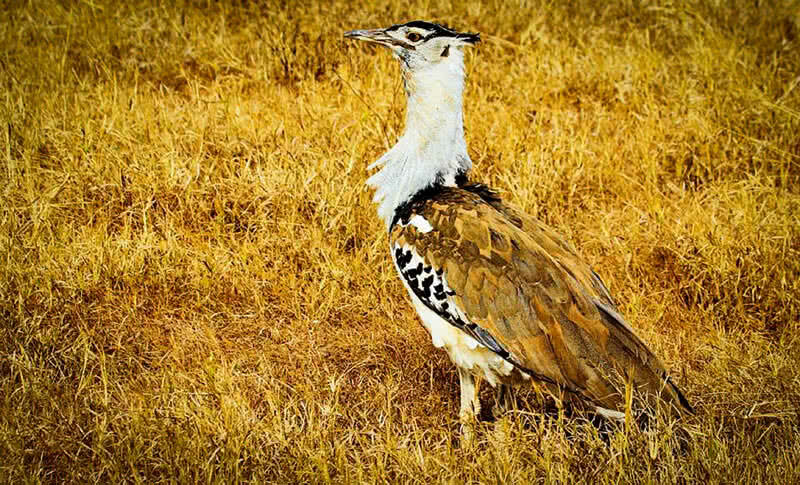 This 4 ft. Long bird has a wide wingspan that measures up to 9 ft.
Insects are the main food of kori bustard. Their diet also includes lizards, snakes, seeds, and berries. Unlike other birds, kori bustard drinks water by sucking motion. Kori Bustard spends most of the time in the land, usually in searching for insects in grasslands. 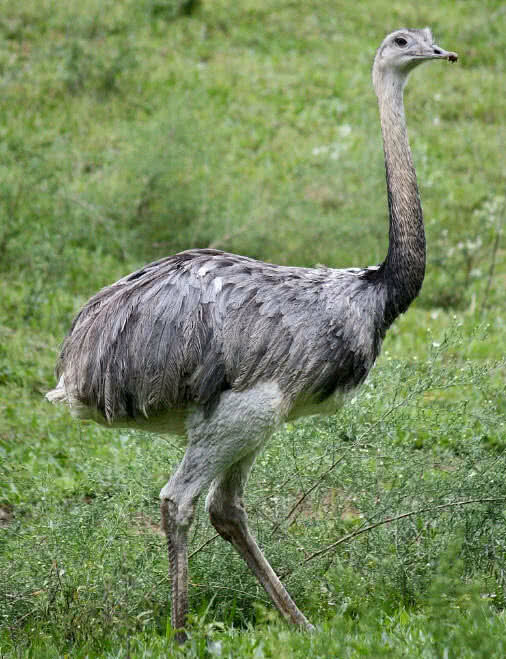 The flightless great rhea is the largest bird of South America. They have a body length between 4.1 ft and 4.5 ft and weigh up to 27 kg. The large wings of greater rheas are useless for flying. But they use those big wings for balancing their body while moving. The wings also help them to change direction while running. Greater Rheas mainly found in grass and wetlands. Their diet includes insects, lizards, and small birds. Like an ostrich, a greater rhea has powerful long legs, use them for defending on facing threats. Females lay eggs in a single nest, can be found more than 50 eggs within a single nest. Emperor penguins are the tallest and heaviest species of penguin. They only can be seen in Antarctica. 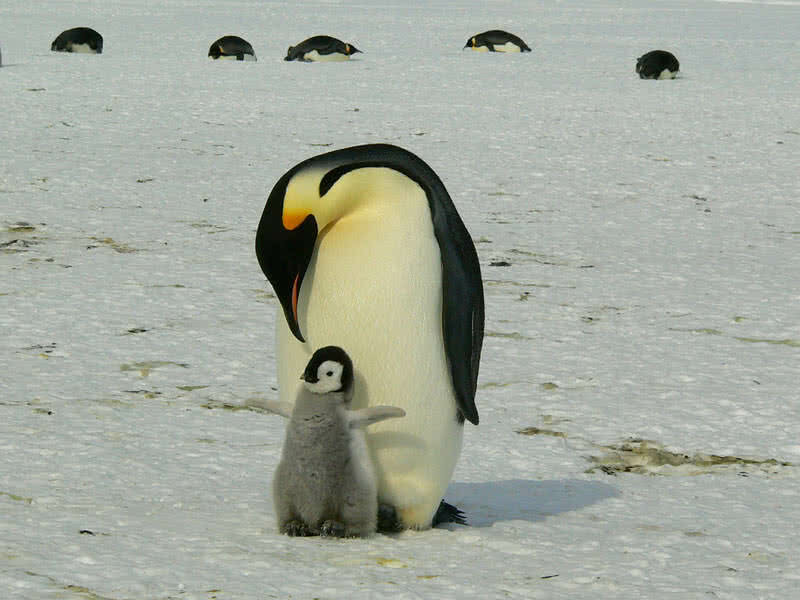 Emperor penguins can stand up to a height of 45 inches and weigh up to 45 kg. They travel up to 80 km in searching for food and can dive up to a depth of 1500 ft. Emperor penguins mainly feed on fishes, squids, and krills. Male emperor penguins take care of newly laid eggs by females. During that period, male penguins eat nothing for more than two months. During that time, the female penguins are in searching for food in the open oceans. Female penguins collect food in bellies and bring back the swallowed food for newly hatched chicks. Emu is the largest flightless bird of Australia. They stand up to a height of 6 ft. and weighs up to 60 kg. They live in the savannas, woodlands and other forest ranges of Australia. Emus feed on plants, seeds, fruits, lizards and other insects. Interestingly, emus also swallow pebbles for grilling the food they ate. Emu’s long legs help them to achieve a maximum speed of 50 km/hr. Emus form pairs during the summer season and breeds in the cooler season. Their eggs have dark green color and weigh up to 1 pound. One nest of emu usually contains 8 or 10 eggs. Native to tropical rain forests of Indonesia and Australia, the Southern Cassowary is the second largest bird in the world. This large, dark flightless bird measures 5.1 feet in height and 75 to 80 kg in weight. Their bills also have a length up to 7.5 inches. The three toe legs of cassowary are very sturdy and thick. Cassowarys can’t fly but can run up to a speed of 30 miles per hour. 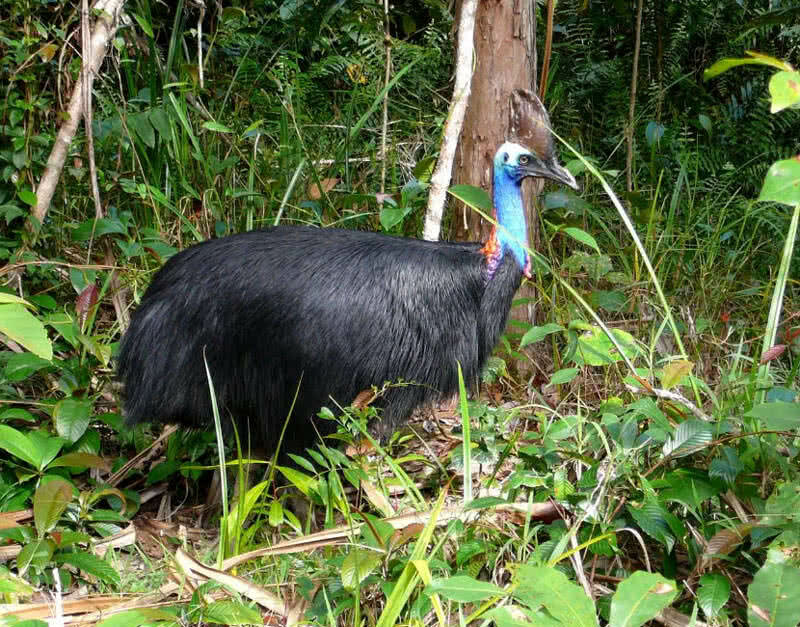 Insets, grass, fungus are main food of Southern cassowary. During the summer season, female bird lays 8 to 10 large, dark eggs. Male bird incubates those eggs for more than 50 days. Ostrich is the largest living bird in the world. An adult ostrich weighs up to 150 kilograms and has a maximum height of 6 feet. 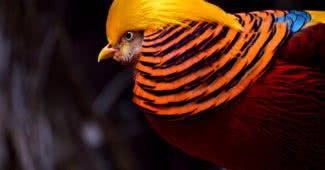 They also held the record for the fastest speed of any bird in the land and largest egg of any living birds. 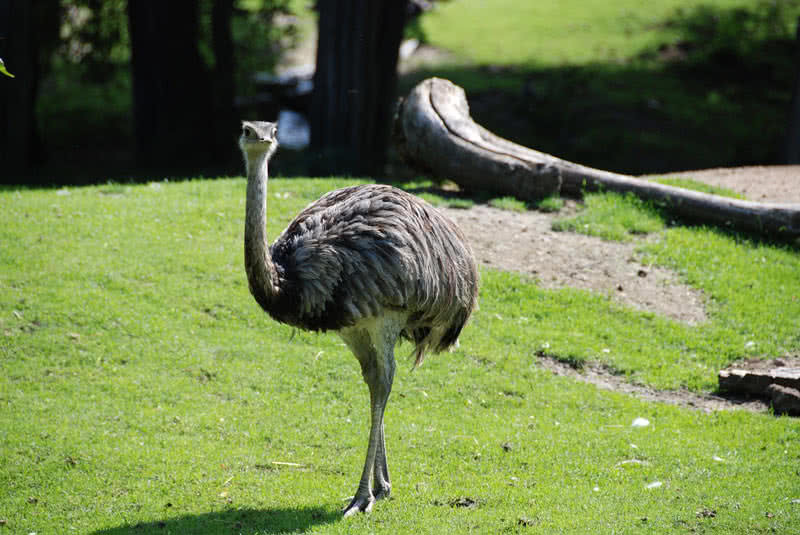 With strong legs, ostriches can run up to a maximum speed of 70 kmph.The flightless ostriches are native to Africa. Ostriches mainly feed on seeds, shrubs, fruits, flowers and small insects. They also swallowed pebbles for grilling foods in gigerium. Interestingly, ostriches can hold up to 1.3 kilograms of pebbles and sand within their gigerium. Ostriches can also live without water for several days. The powerful long legs help ostriches for attacking the predators. 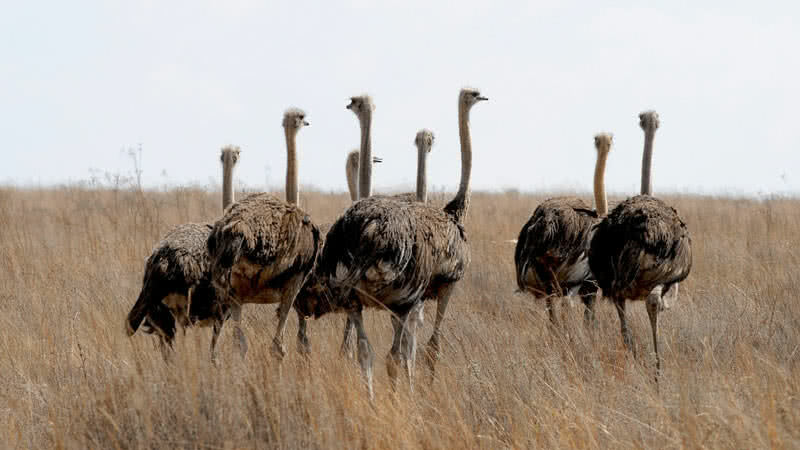 Ostriches usually live in groups that contain 10 to 50 birds. A female ostrich lays up to 60 eggs in a year. On average, an ostrich egg measure 5.1 inches in diameter and up to 1.4 kg in weight.